Spencer Schneider is the veteran presence Lakeville North will likely rally around early this season. A senior starting his fourth season with the varsity squad, Schneider has built himself a strong resume, given the state-championship-winning experience he had as a freshman, and last year the forward was the Panthers’ leading scorer with 25 goals and 46 points that culminated in a Class 2A state tournament berth. 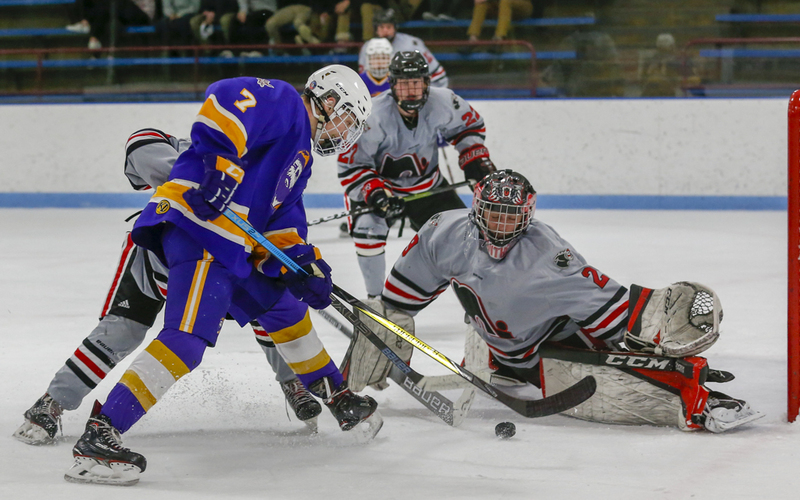 Following Lakeville North’s 3-2 overtime victory over Cloquet-Esko-Carlton Friday in first game of The Opener tournament at Bloomington Ice Garden, Schneider added another thread when he netted the game-winning goal five minutes into overtime. He wasn’t about to let the opportunity pass. Schneider scooped up the loose puck in the neutral zone, burned towards the net and put forth two long stick-handle strides before sliding the puck off his forehand, past the right goalie pad, and into the back of net to push Lakeville North to a 1-0 start to the season. It proved a thrilling end, certainly more sweet for the Panthers who feel like they’ve taken a step forward as they introduced half a dozen new regulars to their lineup while carving out a season-opening win against the Lumberjacks, who are ranked No. 10 in the Class 2A preseason coaches’ poll. Just as it did last year, Lakeville North plans to split goaltending duties with senior Will Johnson and junior Caleb Mayer sharing the load. Starting against Cloquet was Mayer, who stopped 24 of 26 shots against a speedy and sneaky core of Lumberjack forwards. 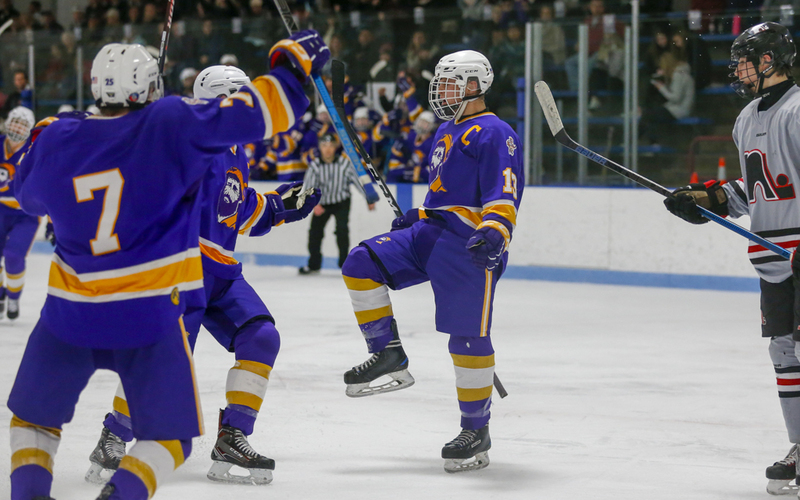 Schneider opened the scoring 2 minutes, 47 seconds into the game, and the Panthers later fought back from a one-goal deficit to tie it at 2 late in the second period, following a pair of goals from Cloquet (0-1) in less than a minute’s span midway through the period. Tension was high with lots of physicality in the third period but neither side could find the back of the net. In overtime, each team had its chances but it was Schneider who seized the moment. Schneider credited the same group of newcomers Eigner praised as the glue that held the winning effort together. Spencer Schneider scooped up a loose puck in the neutral zone and deked twice before he went to his forehand to slide the puck past Cloquet-Esko-Carlton goalie Owen Carlson’s left pad. The score lifted Lakeville North to a 3-2 overtime victory Friday at Bloomington Ice Garden in the first game of The Opener tournament. 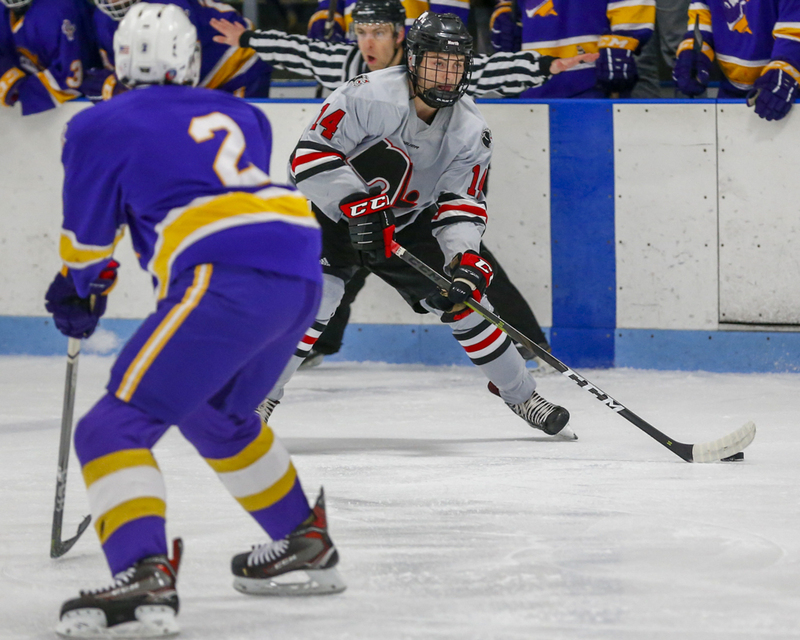 Schneider, a senior and four-year varsity forward, scored the game’s first goal 2 minutes, 47 seconds into the first period, and bookended the effort with the overtime score to push Lakeville North to a 1-0 start to the season. Trailing by a goal after the first period, Cloquet (0-1), ranked No. 10 in the Class 2A preseason coaches' poll, scored twice in less than a minute midway through the second to turn the tables as senior first liners Landon Langenbrunner and Christian Galatz set up a pair of scores. First, Gavin Rasmussen struck at 8:05, and 48 seconds later Andy Acers buried a wrist shot to put the Lumberjacks out ahead. Later in the second, Lakeville North converted on the power play with a shot from sophomore defenseman Ben Monson to tie the game. Both goalies kept a lid on things through a tense third period to set up the overtime session. Each side produced scoring chances in the extra session before Schneider cashed in on his opportunity. In net, Lakeville North junior Caleb Mayer stopped 24 of 26 shots. Cloquet's Carlson, a junior, stopped 27 of the 30 shots he faced.